Grave : Plot B. Grave 283. 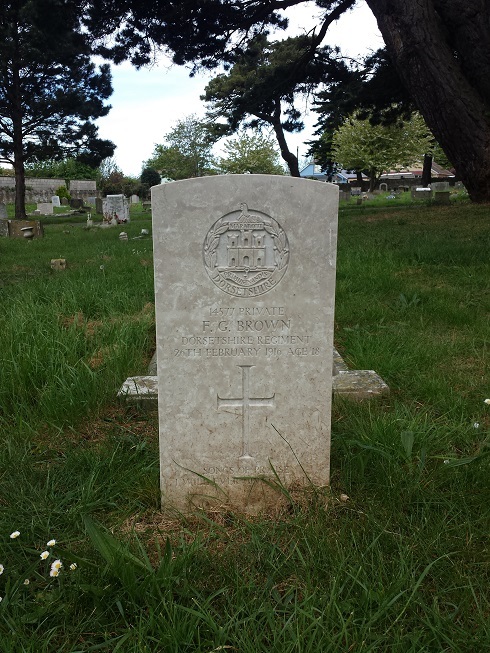 Frederick George Brown was a son of John and Emily Brown, of Sunny Side, Ferndown, Dorset.